Convenient Downtown GR Self Storage! 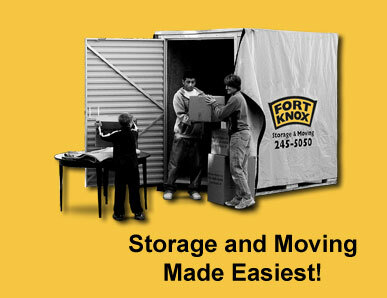 Arrange for storage if needed with Fort Knox Self Storage. Begin to inventory and evaluate your possessions. Figure out what can be sold or donated. Make a list of everyone you need to notify about your move. Locate all motor vehicle registration and licensing documents and check the auto licensing requirements for your destination. Discard or sell anything you don't really need. Make an inventory list of the items you wish to move. Discuss a method of payment with your Movers In Motion agent. Arrange to obtain packing cartons for those items you want to pack personally. Notify the Post Office and complete a Change of Address form. Notify friends and businesses about your change of address. Have your W-2s and other tax forms forwarded. Check and clear any unpaid tax assessments. Arrange for transfer of all medical and dental records. Have letters of introduction written, if needed. Arrange for transfer of school records to new school. Arrange for transfer of jewelry and important documents. Arrange for shipment of pets and immunization records. Make hotel reservations, if necessary, and note to confirm before departure. Collect all clothing and items to be cleaned or repaired. Return all borrowed items; collect things that you have loaned. Have all medical prescriptions refilled and check if they are refillable at your new destination. Have your bank transfer your accounts and release your safe deposit box. Arrange to disconnect utility services. Have farewell parties and visits. Make arrangements to have special appliances serviced for your move. Dispose of all flammables and explosives. Pack suitcases. Include all items you will need until your shipment arrives. Select games and books to occupy children while traveling. Arrange for a baby sitter for moving day so you can devote personal attention to the move without interruption. Empty and defrost your refrigerator and freezer and let them air out for at least 24 hours. Also clean and air out your stove. Plan a simple breakfast for moving day to eliminate refrigeration or cooking. Use paper plates. Be available to answer your mover's inquiries, and be prepared to give directions or have someone there authorized to do so. Make a last-minute check of your appliances to see that they have been disconnected. Provide the driver with your travel itinerary, phone contact at destination (if available) and delivery address. Strip your beds but leave contour sheets on your mattresses. Before leaving, check each room and closet. Make sure windows are closed. Turn off all electric lights. Lock all doors. Be present during unloading so that you may direct the placement of your furniture in your new home. Copyright 2008-2014. Fort Knox Self Storage. All rights reserved. Website designed and maintained by Content Is Queen Productions.